Most people refer to eggs that have gone bad as addled eggs or eggs that are addled. This is the true meaning of addled when it comes to breeding birds. I was wondering why some eggs just don’t hatch, no matter how good the parents are with incubating them. So I decided to do some research and this is what I found. When the embryo contained in an egg dies at a very early stage after laying, the egg is said to be addled. The words addled eggs are often misused when describing an infertile egg because in this case, the embryo has never begun to grow in the first place. ‘Bad eggs’ are those infected by bacteria and are usually the consequence of the eggshell being cracked or because the shell is porous. Eggs can get cracked if there is not sufficient litter in the base of the nest to prevent the eggs from rolling against each other. Cracked eggs also happen when the parents are wild and easily disturbed. Sub-clinical poisoning by chemical insecticides, either from being directly applied to the bird and its nest box, or from farmers spraying the seed during its growth. Reduced levels of vitamin D in the birds. Death of the embryo and addled eggs can sometimes be the consequence of bad patterns of incubation, usually because one of the parents is less broody. The early death of the embryo, giving rise to addled eggs is usually ascribed to an insufficiency of various vitamins, proteins, and minerals, but most particularly to a lack of Vitamin B.
Inbreeding and so introducing recessive genes are also responsible for debilitating, deforming or even killing the chick at an early age may also be considered. Dead-in-shell is usually said to be caused by the nest-box being too dry. Desiccation makes the incubating egg lose too much water to the atmosphere. The chick is then weakened and cannot break out of the egg. This the above theory may not always be true. Several times during their incubation parent cockatiels soak themselves with water. This dousing seems to be the natural way of moistening eggs, as after all in the wild cockatiels naturally use very dry holes in trees. Dead-in-shell is most common in the colder months of the year and is aggravated by bad parents. Even parrot breeders who use peat, which is a moist nest-box filler have just as high an incidence of addled eggs or dead-in-shell, if not higher, as those that give no moistening agent. Dead-in-shell is likewise more common in draughty or thin walled boxes than in well-made substantial ones. 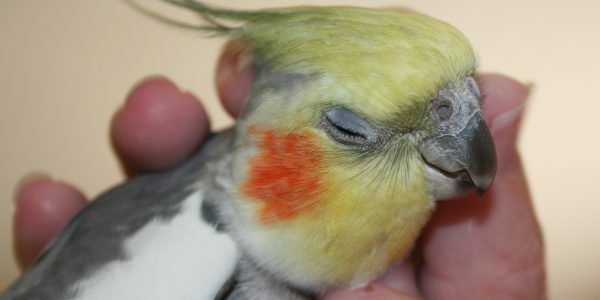 For more on eggs and breeding cockatiels, you can click here. Watching eggs hatch inside the nest and seeing those tiny open beaks was a huge highlight for me this summer. I had two nests on my property and my daughter and I kept close watch on them. Obviously not all eggs are viable just like with us female humans. I’d heard the term addled eggs and deduced that it wasn’t a good thing. After reading this I feel a lot more knowledgeable so thanks for that! I realize that your site is specifically about cockatiels but I’m assuming this term applies to all types of bird species whose eggs don’t hatch. Thanks for stopping by Lynn. Yes although I focus mainly on cockatiels, a lot of the information relates to birds in general. Addled eggs are addled eggs, no matter what the species. Great article but on the other hand also sad. Knowing baby birds die, even not hatched or died as an embryo, gived a sad feeling, I saw baby birds hatching once and this is so wonderful, looking to the parents and see their happiness, with the birth of a little flying baby. Nature is the best, since it gives lots of feelings. Thanks for stopping by Emmanuel. Yes I agree nature is cruel sometimes. Very interesting! I was not familiar with addled eggs but have learned a lot. Nature is absolutely fascinating to watch, how our environment affects us in ways we cannot even begin to imagine. I often wonder what goes through a bird’s mind, how they feel, etc. Thanks for sharing this information. Have a blessed day! Thanks for stopping by and leaving a comment Holly. A really interesting article about a subject that had never really been explained to me much before…but also a quite sad topic when you stop and think about it. I never thought that something as simple as lack of litter under a bed could cause an egg and it’s contents to die so easily. By litter – what litter would you recommend using that is safest for the eggs produced? I think it is best to use fine wood shavings. I never knew there were different terms, and it seems I’ve been mistakenly using the wrong term all these years in some cases. Thanks for clearing this up! It happens unfortunately in all species Jurgen, not only humans. Very interesting. I wasn’t aware of the various terminology and the reasons for problems with eggs. I am a bird breeder in the Philippines. I haven’t done cockatiels yet, but have bred parakeets and several varieties of African love birds. I have run into some of the problems you discuss. One big problem here is the quality of the breeding stock. There is much inbreeding. As you pointed out, the proper diet and the appropriate nutritious feed uncontaminated with pesticides is important. Thanks for your post. I’ll keep my eye on your site in the future. Maybe I’ll get into cockatiels at some point. Yes inbreeding is the one thing I haven’t gotten into yet, but it does weaken the quality of the offspring. I think breeders need to make concerted efforts to avoid this happening. Great info, impressed to know the science behind the hatching of an egg. I have different species of birds at home, I love watching the eggs hatching it’s a great experience for me. 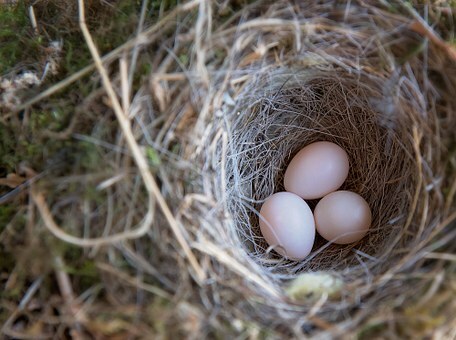 I always had to blame myself if a bird produces addled eggs, I had the feeling that I was not giving it enough care, little did I knew that there are so many contributing factors. Thanks for stopping by Ngonidzashe. Unfortunately a lot of these things are beyond our control, so don’t beat yourself up about it. This is a very engaging and detailed article, great job! I have learned a lot of new and interesting things/facts today, such as what is addled egg, the reasons why this process happens and how it happens, what causes egg shells to become porous, the differences between infertile egg and addled egg and more. Very exciting stuff to discover! The birth of a bird is very gorgeous natural occurence and seeing the baby bird hatching is a truly remarkable sighting! Although it is very sad and heart breaking to see ”dead in shell” instances or when embryo in the egg dies at very early stage, unfourtunetaly sometimes these kind of things happen in nature… is there something that human being can do to help prevent these kind of negative situations? All in all, thanks for great article and keep up the good work! Thanks for stopping by Evald. I think sometimes these things are unavoidable and it is natures way of saying that the chick would be deformed in some way.